The desired room temperature is highly dependent on individual feelings. With your ideal temperature you create comfort for yourself. Beyond this, flexible control of heating, ventilation and cooling also provides a healthy indoor environment. 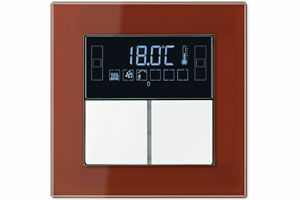 And also concerning energy-management aspects you can only win with heating and climate control matched to your needs! 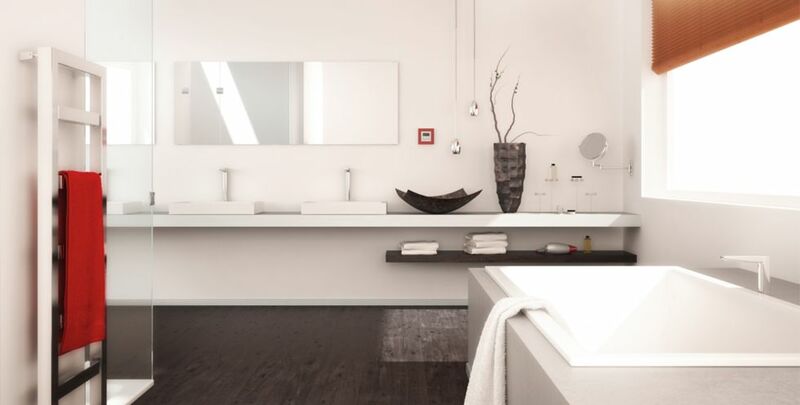 Whether for radiators on the wall or for floor heating: with the standard heating control units you simple set the room temperature individually with the setting wheel, completely as you wish. With the variety of JUNG switch designs, you can match the control units harmoniously to the rest of the electrical fittings in the room. Ideal temperature pre-programmed: you control the room temperature time-controlled and in accordance with your needs using thermostats. That is not only extremely convenient, but also helps to save energy! 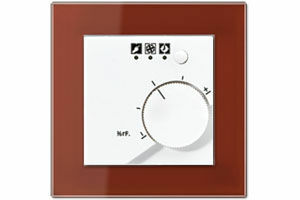 Simply feel good, without heating unused rooms at the same time. 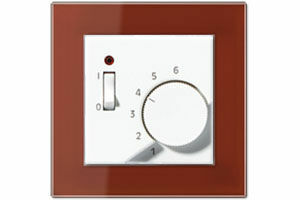 You also match the design of your light switches etc. Air humidity plays a decisive role for a healthy indoor environment. If it is too high, fungus can grow – and that is neither attractive nor healthy! With the Humidistat technology from JUNG you regulate the air humidity based on room temperature and thus provide an optimum environment. 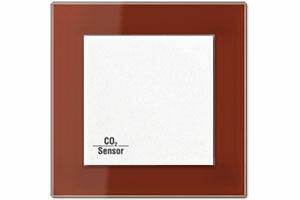 For a clear head, the right concentration of carbon dioxide in the room is an important factor. If it is too high, we lose concentration, get headaches and performance is reduced. Especially in rooms where a lot of people are present at the same time, for example, classrooms, this can happen quickly. With a CO2 multi-sensor, you can counter this: If the threshold values are reached, it operates window openers or the ventilation system and ensures that the air in the room has an optimum quality. The intelligent control of your comfortable temperature: with intelligent KNX building technology, temperature control has never been more convenient! 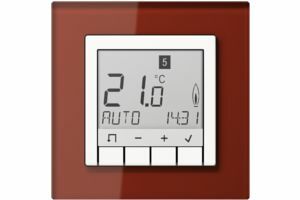 Whether by pressing a button, by touch screen or with a mobile app, as part of the KNX system you simply integrate your temperature control with all other building technology functions and enjoy pure living comfort!